Editor's note: This story was originally featured in the December issue of DS News, out now . With a new year on the horizon, DS News spoke to half a dozen industry insiders to ascertain the big picture of what 2018 holds for the industry, how the landscape is changing, and what missteps are better left in the rearview as we move forward. Two themes came up repeatedly during our conversations with industry insiders: a focus on the customer and a leveraging of emerging technology as a means to help streamline and improve those customer interactions. Unfortunately, not even the shiniest of technological innovations or the cleverest of efficiency boosts can help if there just aren’t enough homes available in the market. Inventory shortages have become a serious thorn in the side of the mortgage and real estate industry in 2017, and our experts don’t see that issue vacating the premises anytime soon. Even if 2018 is lighter on the natural disasters than 2017 has been, inventory shortages will remain a problem without an easy solution going forward. Moreover, it’s a problem that’s already reshaping parts of the market, driving many potential homebuyers toward the rental market instead. Alanna McCargo, Housing Finance Policy Center (HFPC) at the Urban Institute, said, “Our national housing inventory is already deficient, it’s old, and is not being constructed quickly enough to meet demand. The shortage of affordable rental properties and homes to buy puts pressure on home prices and rents, driving them higher. 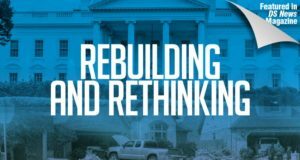 This is a trend that will persist for the foreseeable future, absent significant policy changes and support for construction of and capital investments in the affordable housing stock.” McCargo points out that single-family rentals now account for 35 percent of the country’s 44 million rental units. That’s up from 31 percent in 2006. “This is a notable shift for the housing market,” said McCargo. Nagai suggests that tumultuous shifts in product features, underwriting standards, customer expectations, and the legal and regulatory environment have been positive for the industry. “This has created a simplified mix of products, consolidation across banks, nonbanks, and service providers, and an overall improvement in credit quality. It has also driven innovation in new services and capabilities aligned with the digital, omni-channel world,” Nagai said. With the purchase market aiming at a resurgence and technology offering abundant opportunities for working smarter and more efficiently, 2018 could be a banner year for the industry—so long as it continues to evolve with the times.